I have a colleague whose family once owned a pickle business in Kelham Island. They made picalilli amongst other things. Would anyone know of an old pickle business in Sheffield that is no longer trading? The name may have been waterhouse, although that may not be the name of the company business. Hi David. There was a pickled onion factory on wood lane Stannington. My nan used to work there . I don't think the company exists anymore. But don't know what it was called. 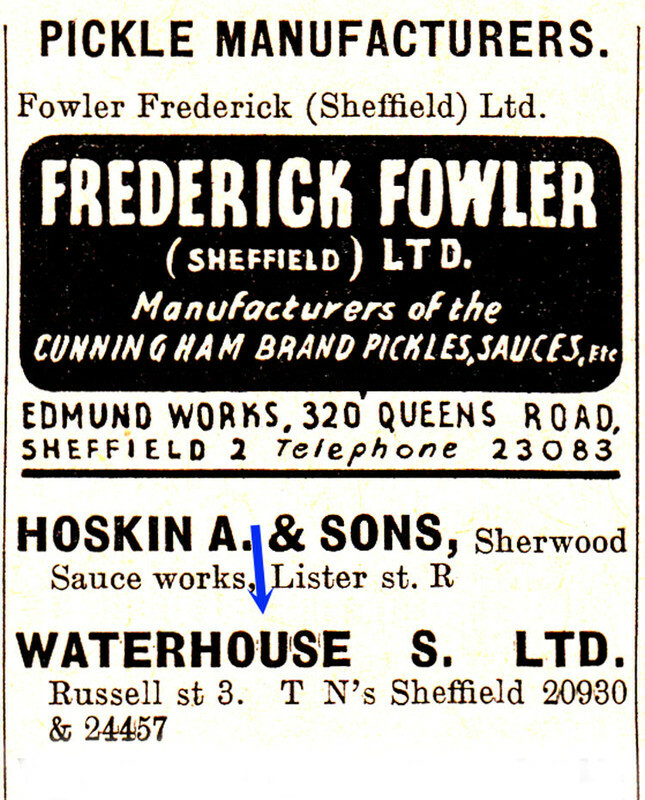 There was a Waterhouses pickle business, but I don't know if they were based in Kelham Island. There was a Cunninghams pickles connected with Sheffield. Queens Road area. On those particular corners were the Holy trinity church and Lawrences razor blade factory. On those particular corners were the Holy trinity church and Lawrences razor blade factory. Just had a word with my brother and he was told the pickle factory was on Spring street where the new rolling mill of Woodhead components was built, next door to the White Hart pub. It was Fowlers. Cunningham was the brand they owned at the time.